National security advisor Michael Flynn was ousted from the West Wing for lying to Vice President Mike Pence and the FBI over communication with Russia. WASHINGTON (CNN) - Rob Porter resigned from his White House role this week following allegations of past domestic abuse, and sources told CNN that senior aides to President Donald Trump had known about the allegations for months. Typically, political appointees brought in with each presidential administration undergo a series of checks to ensure they're fit for the position. This vetting includes background checks, applications for security clearances and ethics reviews -- in hopes that any red flags in their backgrounds won't come as a surprise to the administration or become embarrassing politically. Here's a look at some other notable Trump administration staff members who stepped down or withdrew their names from consideration because of issues in their résumés or past actions. Flynn was fired from his role at the White House for lying to Vice President Mike Pence and the FBI about his communications with Russia, Trump said. 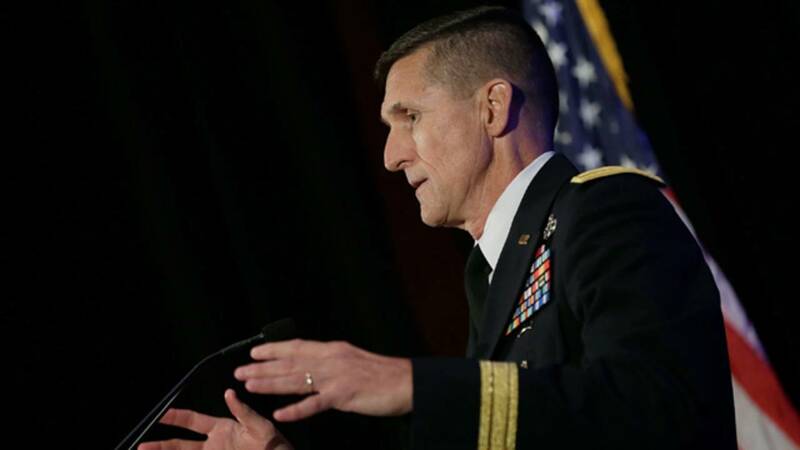 Since his departure from the White House, Flynn has pleaded guilty to lying to the FBI, House Democrats alleged that he failed to disclose foreign trips on security clearance forms and the Wall Street Journal reported that he was being investigated for an alleged role in a plan to forcibly remove a Muslim cleric from the US and return him to Turkey for $15 million. Puzder, the former CEO of CKE Restaurants, was in line to be Trump's labor secretary but withdrew after a 1990 interview resurfaced in which Puzder's ex-wife accused him of domestic abuse, an allegation he's denied. In addition, Puzder admitted to hiring an undocumented immigrant to be his housekeeper. Green withdrew his nomination following scrutiny over resurfaced comments, including a lecture arguing against the theory of evolution and writing in a 2013 Facebook post that then-President Barack Obama "supports transvestites in uniform." Green called the revelations "false and misleading." Rep. Tom Marino, R-Pennsylvania, withdrew his name for consideration to become the administration's drug czar after a a joint CBS "60 Minutes" and Washington Post report revealed that he took nearly $100,000 from the pharmaceutical lobby while sponsoring a bill that made it easier for drug companies to distribute opioids and thwart the Drug Enforcement Administration. Trump had picked Clovis for the position despite him not having a background in science. That lack of experience, alongside a history of racially charged and anti-gay comments, made his nomination particularly controversial. He withdrew from consideration last November. Craig told CNN he withdrew from consideration because "FEMA doesn't need the sidetrack right now" -- after NBC News reported that an inspector general report had "found he had falsified government travel and timekeeping records when he served in the Bush administration in 2005." He called the allegations "factually untrue." Johnson resigned last November after a CNN KFile report revealed inflammatory past comments he had made about black people and Islam. Prior to his resignation, Johnson apologized for his comments, telling CNN: "I regret the manner in which those thoughts were expressed in the past, but can say unequivocally that they do not represent my views personally or professionally." Higbie, the public face of the agency that runs the AmeriCorps volunteer program, resigned in January after a CNN KFile report about racist, sexist, anti-Muslim and anti-LGBT comments he made on the radio. Higbie apologized for his comments soon after his resignation. CNN's KFile reported that Hartnett White, who would have overseen environmental and energy policies across the government, had described the belief in "global warming" as a "kind of paganism" for "secular elites" during a September 2016 interview on "The Right Perspective," an online conservative radio show. Crowley bowed out of joining the NSC staff after CNN's KFile uncovered multiple instances of plagiarism in her 2012 book, her columns for the Washington Times and her 2000 Ph.D. dissertation for Columbia University. Crowley referred to the report as "a political hit job."